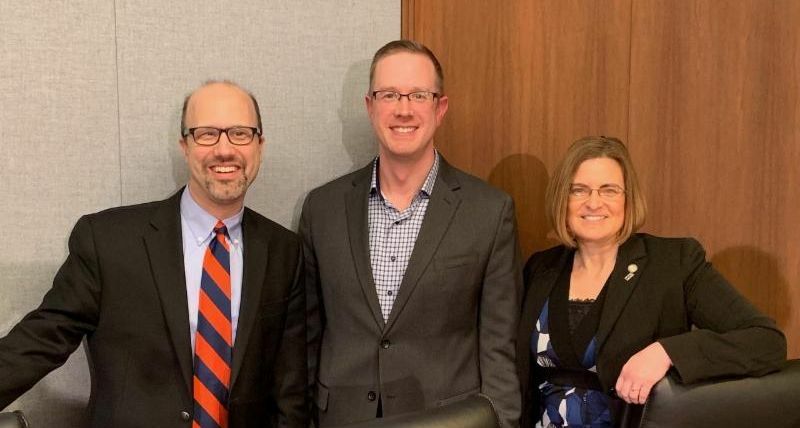 Representative Marion O'Neill, chief author of a bill defining organized retail crime (ORC) in Minnesota Statute (right) with MnORCA Executive Director Charlie Anderson and Rep. Dave Pinto (left) at last week's Public Policy Forum at the Capitol. We Are Looking For Speakers For The October 2 Retail Rally! 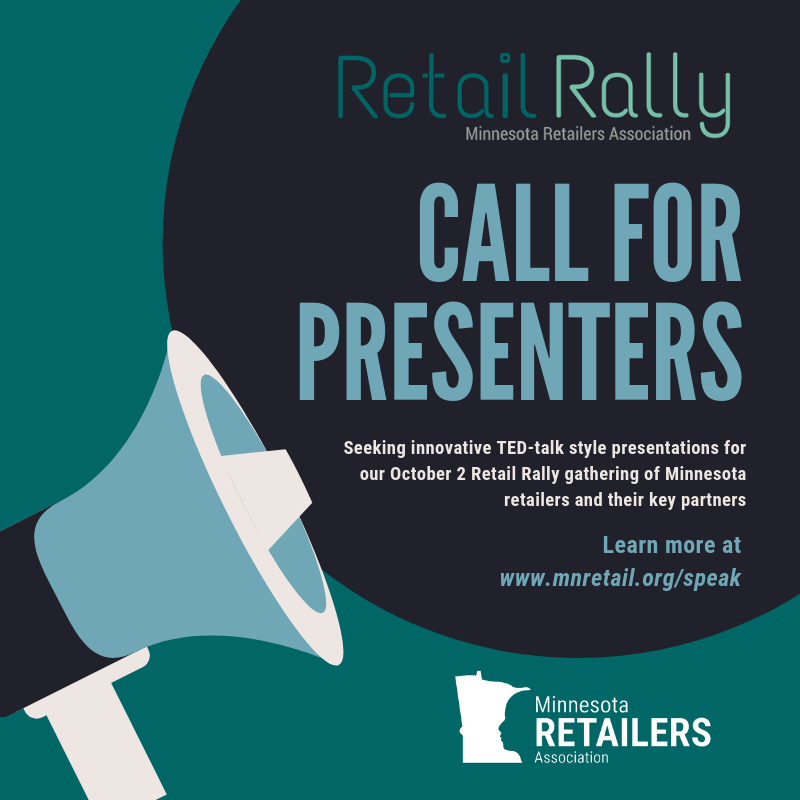 We're looking for top-notch, TED-talk style presentations for MnRA's 3rd annual Retail Rally event the afternoon of October 2 in Golden Valley! 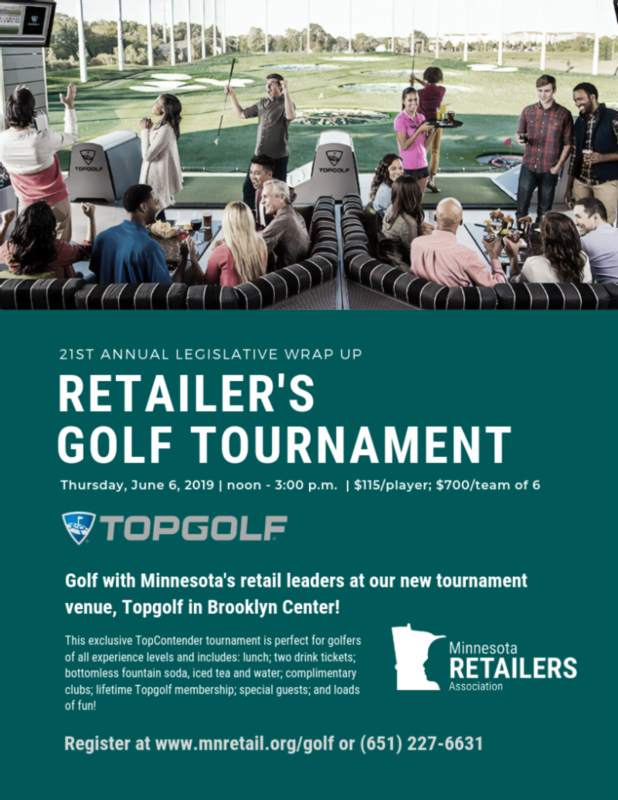 Retail Rally will feature 5-6 TED-talk talk presentations aimed at 125 Minnesota retailers and their key business partners. Presentation proposals surrounding innovative strategies, concepts and insights in customer engagement, sales and marketing, operations and workforce are preferred. Learn more at www.mnretail.org/speak. Proposals due May 6. Retail wages stand apart from the crowd, but data shows that broadly low-wage workers are beginning to see higher wage gains, on a percentage basis, than high-wage workers. MnRA was proud to partner with the Minnesota Organized Retail Crime Association on a Public Policy Forum surrounding organized retail crime (ORC) last week at the State Capitol. Joining retailers and law enforcement for the discussion were Senator Mark Koran, and Representatives Marion O'Neill, Nick Zerwas and David Pinto. For more information on ORC legislation contact Savannah Sepic at savannah@mnretail.org. Pictured above: Sen. Mark Koran (left) and Rep. Nick Zerwas share their perspectives on ORC legislation. Tariffs Hurt the Heartland, the nationwide campaign against tariffs supported by trade organizations across industries, today joined The Taxpayers Protection Alliance (TPA), the non-profit, non-partisan organization dedicated to educating the public about the government’s effects on the economy, in sending U.S. Treasury Secretary Steven Mnuchin a letter reminding the administration that tariffs are taxes paid by Americans. The letter requests that the American people be reimbursed for the cost of the trade war. Nomination Deadline For Minnesota's Retail Champions Awards Extended To April 22! Nominations are open through April 22 and can be done at www.retailrally.com. Take a moment to nominate a Minnesota Retail Champion today! In-Store Still Offers Promise. In malls and shopping centers, clearance or going-out-of-business signs hang like flags of surrender. Department stores that once anchored the old-school retail experience are either limping along or shuttering, like the 125-year-old Sears which filed for bankruptcy protection late last year. It’s been a long time coming, but Minnesota lawmakers have at last taken a common-sense step to improve public safety on state roads. On Friday, Gov. Tim Walz signed a bill requiring hands-free use of electronic devices while driving. Beginning Aug. 1, Minnesota law will wisely prohibit the use of hand-held cellphones and other devices to cut down on distracted driving. The legislation allows use of voice-activated commands in a “hands-free mode” for calls and other functions. 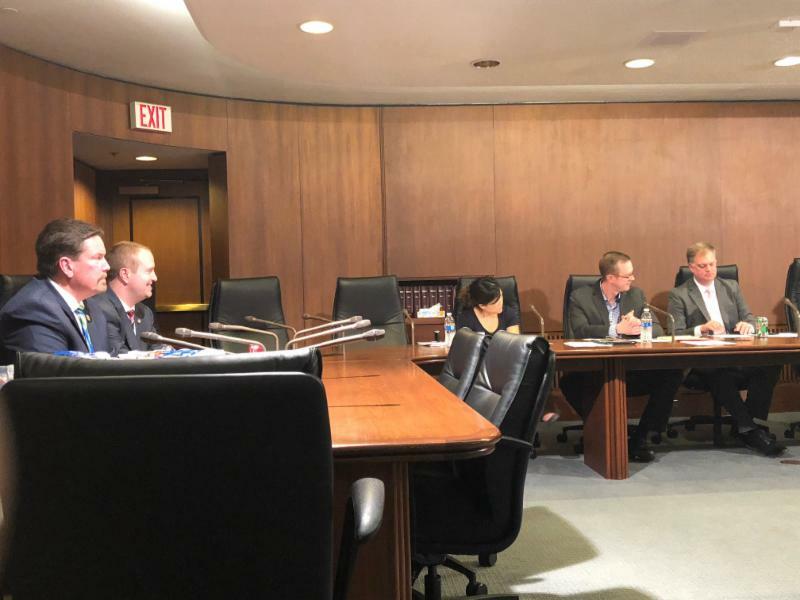 The legislation also marks welcome bipartisan action for a Legislature in which the DFL House and GOP Senate are at odds over numerous issues as they continue work on a biennial budget. Under the new law, motorists who violate the statute could receive a ticket that would cost $50 for a first offense. A second or subsequent violation would jump to a $275 fine. A guide on the new law can be found at http://bit.ly/HandsFreeGuide. Minnesota will join 16 other states with similar laws. From their experiences, it’s clear that the hands-free restriction is needed. Most of the states that have adopted hands-free laws have had fewer traffic fatalities within two years, according to the National Highway Traffic Safety Administration.